Get the equipment, training, and on-going support you need to build a thriving landscape curbing business. Landscape curbing is an in-demand industry that provides homes and commercial properties with stylish, durable concrete borders. Landscape curbing is typically done with specialized equipment and training. This means curbing professionals can provide a highly unique product with very little competition. What do other curbers have to say? 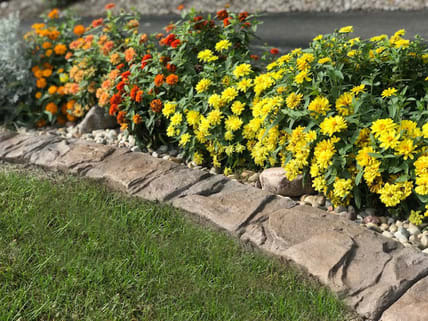 Landscape curbing is extremely profitable and in high-demand. Our curbing community often makes between $6 to $14 per foot of laid concrete, with only around 20% cost of materials and labor. This means that for a typical job of 200 feet, you can make between $900 and $2,200 profit. Starting a business on your own can seem like an intimidating thing to do, but it doesn’t need to be. We now offer training so you can test out the business to see if curbing is right for you. Ask about our Curbing 101 Training Course where you’ll learn everything about the business of curbing before you invest in your own curbing equipment. What are other curbers saying? View the table below to understand how typical curbing jobs are broken down and how much money there is to be made as an owner of your own company. *Results may vary in your area. Labor costs are based on a 3 man crew. Interested in Starting Your Own Business? Request More Info. Give us a call at (920) 740-2218 or simply fill out the form below to learn more about getting all the tools and training to get started. 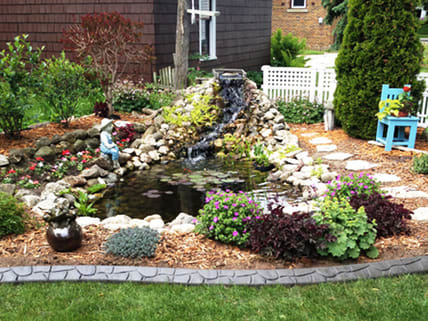 We make the process easy to start earning money in landscape curbing. You’re now one step closer to owning your own landscape curbing business!